Welcome to the worlds greatest guide to Maternity Sweatshirts. 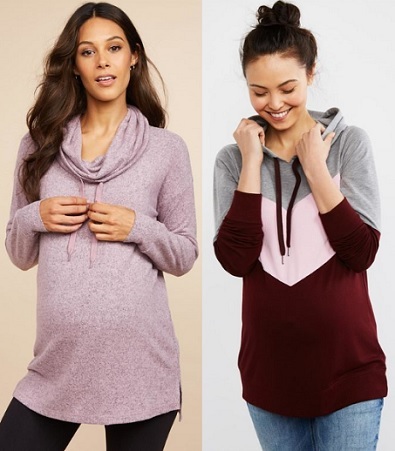 Are you actually looking for Maternity Sweatshirts? Well, we hope you are because the reality is that you have found our Maternity Sweatshirts page. In this women's clothing section of the Apparel Search directory, you will find all sorts of interesting information regarding Maternity Dress. Apparel Search is a leading guide to fashion, style, clothing, glam and all things relevant to apparel. 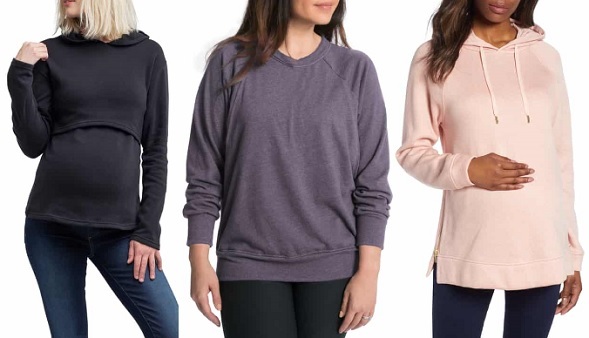 We hope that you find this Maternity Sweatshirts page to be helpful. Sweatshirts are typically pullovers or zipper front garments worn as a top. Technically, they are a type of sweater. Sweatshirts come in a wide variety of styles, sizes, and material. Hoodies are a popular options. Maternity is the the period during pregnancy and shortly after childbirth. Maternity fashion is worn by women in some cultures as an adaptation to changes in body size during pregnancy. As the body is changing shape and therefore levels of comfort, most maternity fashion is made with stretch materials and panels to provide comfort & or support. What ever type of ladies top you are wearing, is in fashion. Learn more about sweatshirts for women in our fashion influence section. If you want to be even more stylish, you should wear your favorite maternity sweatshirt. You may find interest in the hoodies page of our fashion influence section.